The AK-12 is chambered with 5,45 mm rounds and can as well use AK-74 magazines. Kalashnikov Concern announced on Jan. 29 that its newest assault rifles won military trials and will become the army’s main handheld weapon, which will be integrated into Ratnik-2 battle gear for years to come. Russia’s airborne, marine, and infantry forces will be the first to be equipped with AK-12 and AK-15 rifles. At first glance, the new AK-12 looks like a modified version of the AK-74. It uses the same 5.45 mm round as its predecessor but the new rifle has improved ergonomics and an integrated Picatinny rail, so various optics and scopes can be mounted on the gun. Different tactical accessories like a vertical grip, flashlight, and laser sight can also be added. The rifle also has a new magazine so soldiers can see how many bullets they have left, while there’s a retractable side-folding shoulder stock which increases accuracy in confined spaces. Another important thing that defines the AK-12 is its four modes: Safe, semi-automatic, two shot burst, and fully automatic. It has less recoil compared to previous AK models and collimator sights can easily be installed to make it more accurate. There’s no technical difference between the AK-12 and AK-15 - only the round each fires is different. 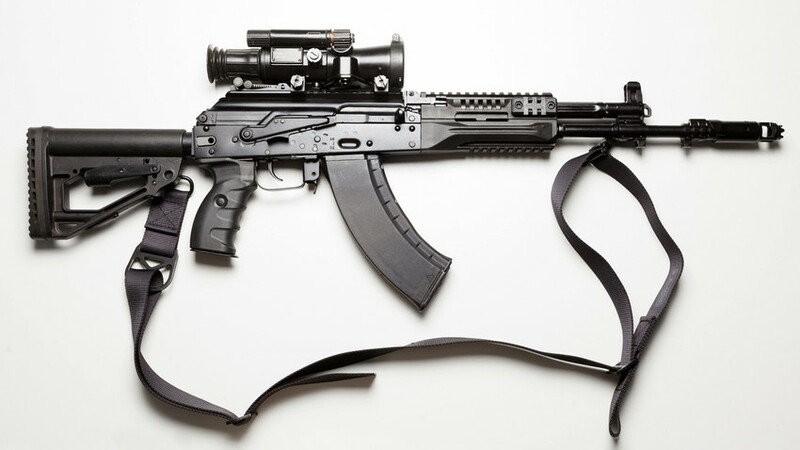 The latter rifle is chambered with a more powerful 7.62x39 mm bullet (like the AK-103 and AK-47).